l know that sounds stereotypical but this Wedding Ceremony definitely had that factor. Award Winning Floral Designer meets Award winning venue = Match made in Heaven. Flowers Vasette are seriously one of Melbourne’s most unique floral designers. Dedication, style and perfection were in mind when setting the pace for this elaborate wedding ceremony. Deep red rose petals outlined the walk way Jacki used to make her way to the alter to meet her husband to be. 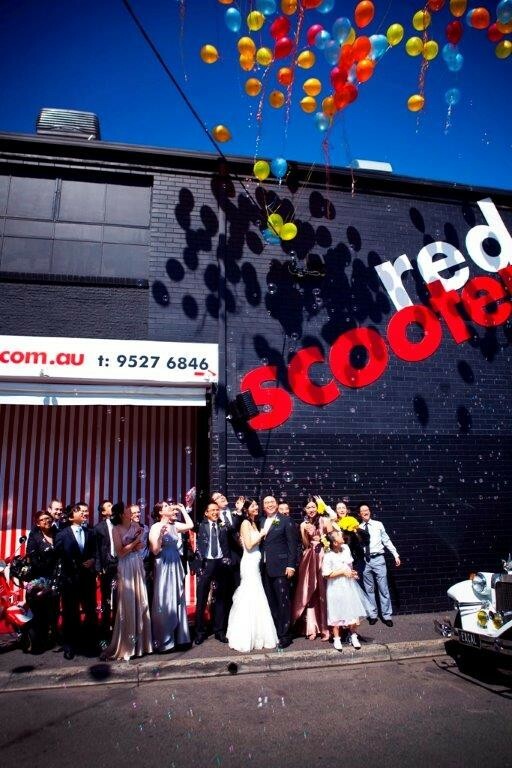 After the emotional Ceremony, the new Mr and Mrs Chen’s guests gathered in front of the Ceremony Space . Each guest were given a bunch of helium balloons to let go into the perfect sky. Children were running around with bubble makers to celebrate the union of Jaquie and Chao. This amazing backdrop created exquisite photo opportunities for the family and friends. See how we work with you to make your wedding reception a great success.